It's almost the end of summer and to transition into the fall, I have been using more earthy scents- such as sandalwood. (Of course I still like the occasional juicy/fruity scents too!) The Caress Endless Kiss Silkening body wash in Creamy Vanilla & Sandalwood is perfect to get the rich aroma and smooth, silky skin. The vanilla balances out the woodsy scent by giving it a sweeter fragrance. And with fall just around the corner, your skin can still glow with sleeveless tops & dresses! 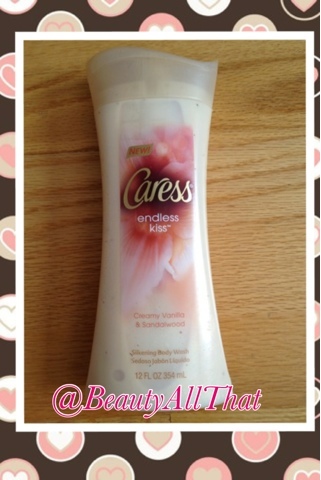 My skin feels incredibly soft every time I use this, so I'm excited to try other Caress products.